Mention you saw this on our website and receive the second month FREE on any available unit! Act now!... Valid only through April 30, 2019 for new storage unit rentals only. A one-time $15 administration fee applies. *Applicable for U-Haul trucks rented within one month of a first-time storage unit move-in. Daily truck rental rates will be discounted up to $100.00. Other rental fees, such as mileage charges, are not included. 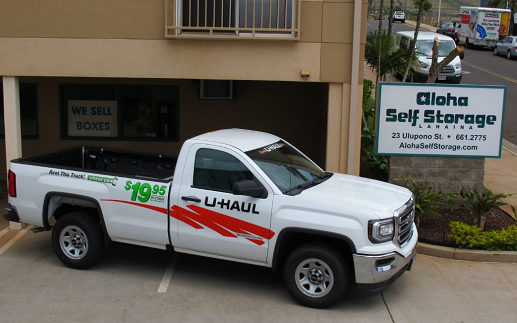 Offer valid for ONE RENTAL ONLY and is subject to availability of trucks rented from Aloha Self Storage Lahaina.